What’s A Freestanding Tub Shower Combo? A freestanding tub shower combo is defined as a bathtub + built in shower that’s completed on all sides and can stand alone. Freestanding tubs are more similar to furniture compared to tubs that are built-in. Nowadays, due to increasingly limited spaces, people have to make a choice between either a bathtub or a shower. But no more! Now you can have both a bathtub and a shower! That’s what a freestanding tub shower combo is for. A contemporary styled marble bathtub and shower combo. It looks simple, elegant and beautiful. A luxurious (but more costly) black tiled freestanding tub shower combo. A glass paneled tub shower combo. This magnificent tub and shower design provide the ultimate in luxury. They save a lot of space. If you want to build a shower and bathtub separately, be aware that it’ll take a lot of space compared to a freestanding tub shower combo. The bathtub shower combo for a small bathroom setup is a cost effective solution. Firstly you save money by not building the bathtub and shower separately. Secondly, since a freestanding bathtub is finished on all sides, it doesn’t require any extra reinforcement that may end up making it cost more. They’re very aesthetically pleasing and add a pleasant touch to your bathroom. They make a very strong, almost on the level of sculptural visual impact. They’re much more efficient and save a lot of time. You don’t have to constantly switch between shower and bathtub, talk about water-efficient plumbing! A bathtub shower combo for a small bathroom setup costs a lot less nowadays. A few years back, buying a freestanding bathtub was for the upper class; middle class people simply couldn’t afford it. But recently it has become much cheaper and thus affordable for most people. Freestanding bathtubs are much more flexible in placement. Since they’re finished on all sides, they can be placed anywhere in the bathroom, even centre, if so desired. You don’t get to have your bathtub and shower separately. This is an obvious one but can be a major turnoff for a lot of people. Some people like their shower and bathtub kept separate. The freestanding tub shower combo isn’t for them. If done wrong, they could make your bathroom look a lot more packed and suffocating. Since a freestanding tub looks the best when given some extra space, the bather may find it difficult to reach soap and other bathroom accessories. One solution to this problem is to use bathroom trays. 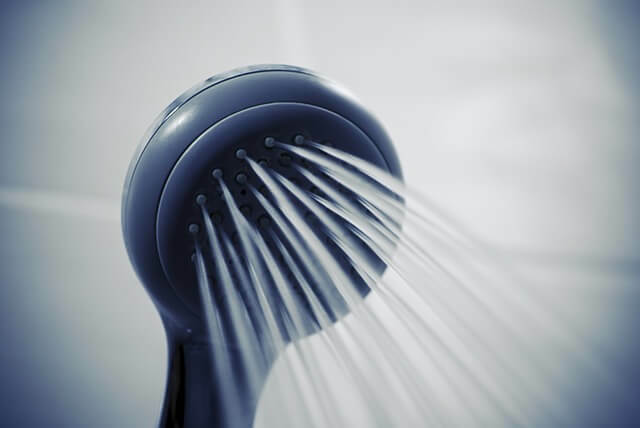 So there you have it: a brief look at some of the advantages and disadvantages of having a freestanding tub shower combo in your bathroom. I hope this list comes in handy when you’re deciding on your bathroom setup!